Easily flushes away hair that becomes built up and trapped between upper and lower cutting blades. 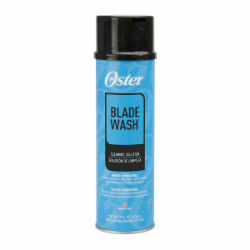 Apply Oster® Blade Wash prior to all other liquids. Removes factory applied preservatives from new blades. Provides lubrication for clipper blades.